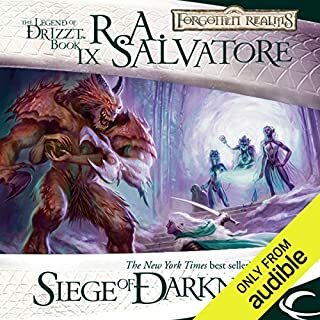 ©1991 TSR, Inc., c. 2004 Wizards of the Coast, Inc. (P)2013 Audible, Inc. 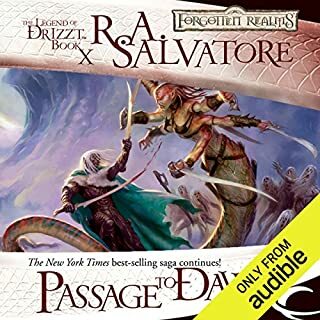 I could wait to listen to more every time I had to stop listening due to life this is the 3rd book in a row that I have listened to and I plan to go through the whole series. 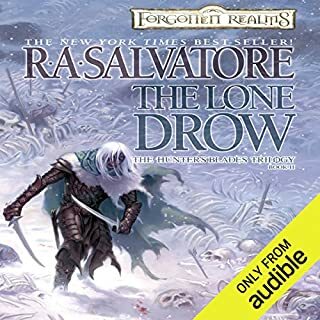 if you have not listened these adventures yet, i highly recommend that you do. Good read about a Legendary character! Enjoyed it, but I think that Victor Bevine needs to learn to emote a little bit. This series just continues to be a joy to listen to. The only first world problem I have with it is how the narrator pronounces live/lived lol. 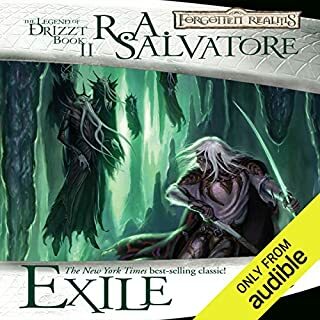 Drizzt's emergence into the daylight had me cheering for the tale of overcoming one's birthright and becoming who you truly are. This is the last and best book of the series. 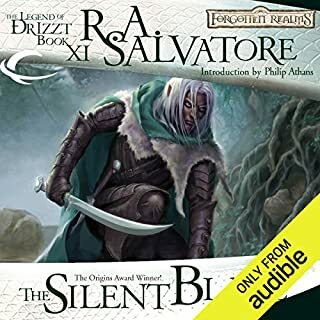 Book starts with Drizzt living in cave trying to make sense of an alien environment. At this point, reader knows enough about the character to really understand how one might feel and experience when face with such circumstances. 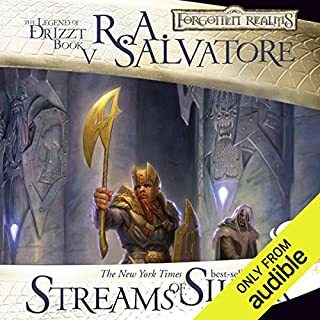 Author did a great job of actually going through a lot of detail about how surface / light / environment impacted Drizzt. 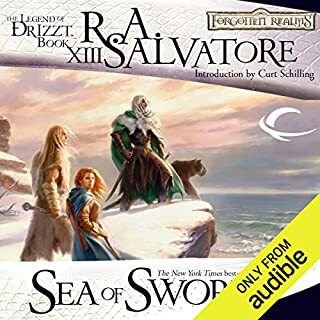 A small thing such as weather change, which we might take for granted, was not well understood by Drizzt. Since a reader could feel for the character, book provides a great sense of adventure as if reader itself is walking out to the world for the first time. For seasoned readers, it is a sense that does not easily achieved and I really appreciated it. 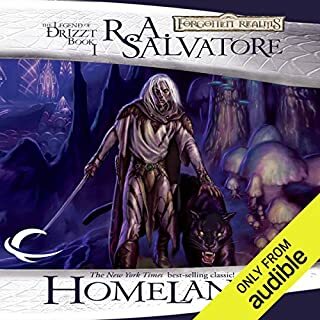 Once somewhat comfortable with his new environment, Drizzt tries to establish relationships which really back fires. These attempts and his appearance / race lends him in trouble. There underline theme of pre-conceptions people have and how they are quick to judge based on appearance. His attempts to establish relationships eventually bare fruits, and his adventure continues in a different direction. All in all, this is a good book with a great sense of adventure. Narration seems correct for this type of book, and story zips along at a brisk pace. It is a good 3.5 to 4 star book. I liked the book enough that I will be picking up the next book from the author about the character. 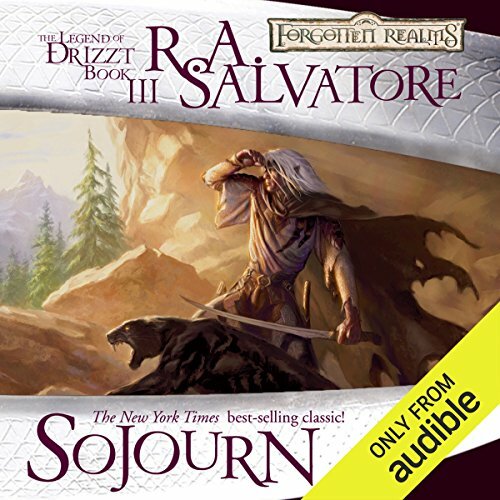 Sojourn brings the "Dark Elf Trilogy" to a close. If you enjoy Fantasy, you will enjoy this book and the trilogy. It is a fantastic conclusion to a wonderful series. The book is set on the surface so it is different feel from the first two books but I found I enjoyed it even more. I am looking forward to reading more about the character. I only hope that other books involving this character are as well written and told. Great Series for the whole family! 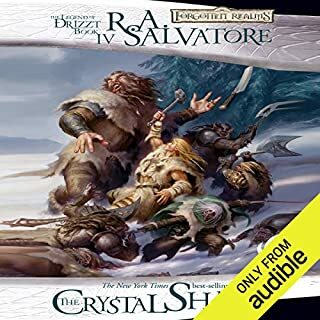 Many years ago, I read this series and the Crystal Shard trilogy when they were first published and have followed the life and experiences of Drizzt the Drow Elf for many years. 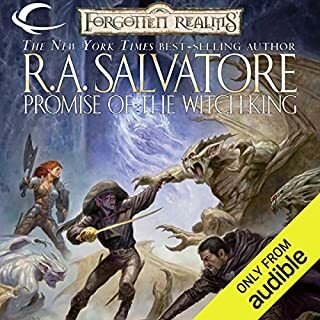 When it was released by Audible on audiobook, I was excited to jump back in and re-live those stories...I am so glad I did. Hearing these novels read by Victor Bevine is fantastic! His voice is perfect and he brings each character to life in their own unique way! 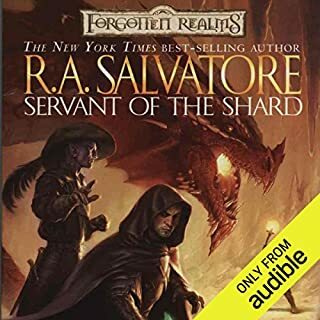 Have downloaded this trilogy and the Crystal Shard trilogy to listen to again and again. I'm also sharing these audiobooks with my 10 and 11 year old children and teaching them the principles of the books...you can rise above your environment. You can become whatever you want, and living a principled life may not be easy, but it is worth it! 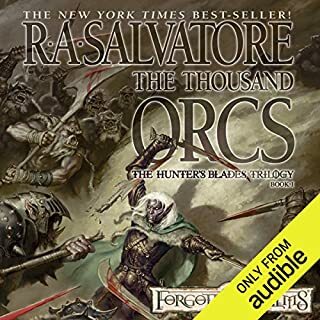 Thanks Audible for bringing me back to these great books! What made the experience of listening to Sojourn the most enjoyable? 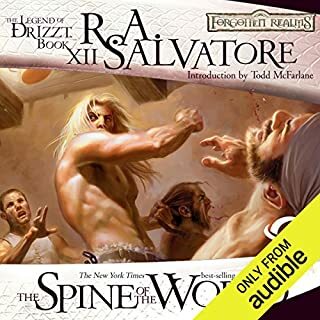 Drizzt gives rotty Mcgrissel a BEAT down. I really loved all these books. this really held up with the rest. Very enjoyable. Would you listen to Sojourn again? Why? Absolutely I love the stories.. all three of them they have been a favorite of mine for close to 20 years now. 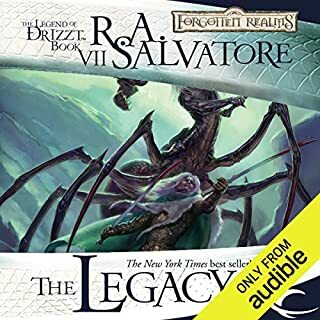 I do not have a favorite character that Victor preformed, I'm just thrilled at the job Victor did at narrating these books. 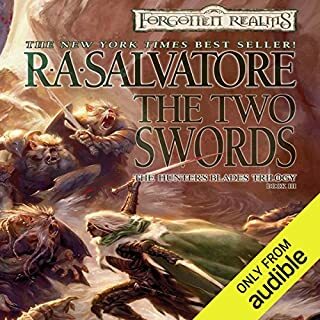 While their is nothing difficult about reading the books the way R.A Salvatore wrights i was afraid that the fighting sequences would come of as lame.I am thrilled to say that they did not not at all. If you have never tried this series I urge anyone to start with book one and stick with them. the first book starts off a little slow but only because their is such a big world that needs to be created in your mind. midway through the book you will be cursing the times that you have to stop listening to do anything else. If it's black with a white strip, not a friend. Drizzt is having a hard time trying to acclimate above ground. Some of it is fun other times tragic. There are new friends and lots of enemies. This story has some of the formula characters such as humans, elves, dwarves but there are many new ones too. It does take a twist when you get dwarves that are dandies and not so much as miners. 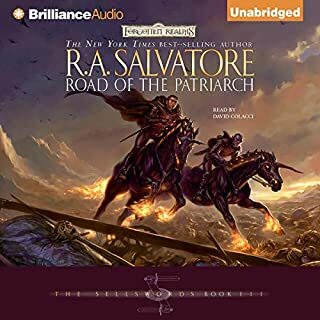 As usual with RA Salvatore he takes us on a vivid and grand adventure. Narrator is good. This was a very good series. Almost start to finish. I am pleasantly surprise to see another series that has branched off from this. Yaay! 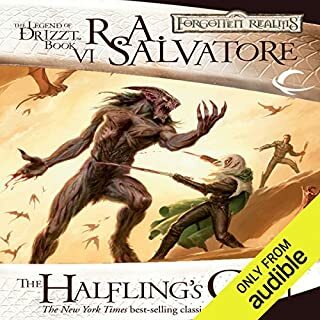 Before purchasing this book I read a number of bad reviews complaining about a number of decisions the write made about the main character Drizzt. DON'T LISTEN TO THE BAD REVIEWS! This book wowed me like no other D&D book has. It was so action packed right from the beginning, and stayed tight up until the end. 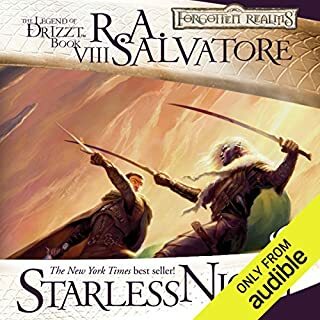 This book casts Drizzt in what I say is exactly the right light. Those who complained about his character clearly did not know the source material that well, material written by the SAME writer. Highly recommend, worth the purchase. the weakest of the three books but still a necessary read. Love this trilogy. the narrator is nothing short of excellent. this is a great series and the narration is excellant. I look forward to listening to more.